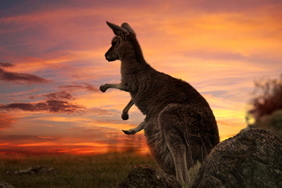 Sydney, Hamilton Island, Uluru, Melbourne & more! Take a trip Down Under. 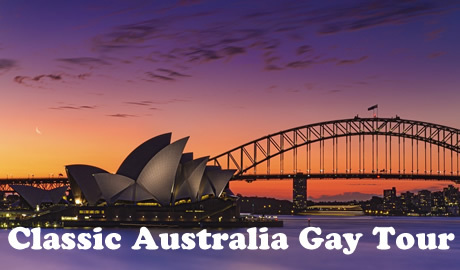 Join us on this gay group tour to Australia and discover the most important places in this unique destination. From Sydney to Melbourne, through the spiritual heart of the country, Ayers Rock and Hamilton Island, where tropical nature is the star. Want diversity? Get yourself to Australia. The pristine beaches, rugged terrain and bustling coastal cities in this part of the world are the living embodiment of variety. Sprawling deserts, enormous forests, snow-capped mountains and coral reefs teeming with aquatic life show off nature at its very best, and the busy, multicultural cities are packed with interesting folks with stories to share. Prepare to have the limits of your imagination expanded tenfold. Depart Home on regularly scheduled flight to Sydney, Australia. Upon arrival, you will be met and transferred for the flight to Hamilton Island. Upon arrival in Hamilton Island, transfer to The Beach Club for the next three nights. This tranquil, boutique resort sits right on Catseye Beach, overlooking the Coral Sea. With its spectacular beachfront location, private restaurant and lounge, the Beach Club Hamilton Island is the ultimate getaway. Spend the rest of the day relaxing and enjoying the resort & spa. This evening gather for a Welcome dinner with fellow travelers at the hotel. Depart from the Hamilton Island Marina, the experienced and knowledgeable crew will take us on a trip of a lifetime to the World Heritage Great Barrier Reef Marine Park in a new stable and comfortable vessel. 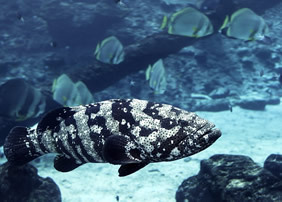 Explore the coral gardens in search for weird and wonderful marine creatures at Bait Reef will keep you busy for hours. Two sites are visited in one day, providing an insight into this large, unique and extraordinary living organism that is the Great Barrier Reef. Enjoy time at leisure in the Whitsundays, with many activities to choose from including scenic flights, snorkeling, scuba diving, target sports, game fishing, waterskiing, parasailing and more. Get dropped off at one of the many local beaches to enjoy a private gourmet picnic, explore the walking trails on the island or you can even cuddle a koala. Be as active or relaxed as you wish. After breakfast, transfer to the airport for a flight to Sydney. 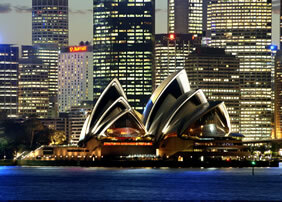 Voted the world’s number one city, Sydney is a place you can visit again and again. The sophistication and sheer energy of the city that has grown up around the beautiful harbor is impressive. Arrive Sydney and transfer to Shangri-La Hotel. Shangri-La Sydney is located in the historic Rocks district offers spectacular views of Sydney’s most famous icons. One of the most famous sights in the world greets you as you awake from the soothing comforts of your luxurious bed. The stunning Opera House glows a pearlescent white against the blue of the sky and the sea, while the Harbor Bridge stands majestically for all to see. The city is a palette of exuberant colors, all vying for your attention. Such is the spectacle from your room at Shangri-La Sydney. Cruising on Sydney Harbor is a quintessential Australian experience, begin our day with a sensational 2-hour private harbor morning tea cruise aboard a 52' Motor Yacht and be engulfed by the beauty and magic of Sydney. Our private captain and host will share the rich history of Sydney Harbor and its foreshore as we take in the sites of the Sydney Harbor Bridge, the Sydney Opera House and the bays and coves of Sydney Harbor. 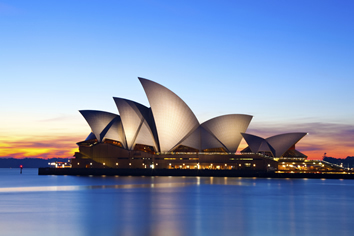 This afternoon take the opportunity to visit Sydney’s famous icon, the Sydney Opera House, one of the world’s busiest performing arts centers. Enjoy a privately guided tour as we hear some of the amazing stories behind this miracle of architecture and engineering. The perfect tour of one of the most beautiful cities in the world! Our private half day tour lets us discover Sydney and get our bearings, with our knowledgeable local guide to show us the highlights. Our guide will give us an introduction to the history, architecture, culture and natural beauties of this stunning and exciting city. We’ll see the city, and famous icons like the Sydney Harbor Bridge and the Sydney Opera House, as well the historic Rocks area of Sydney. This is a relaxed way to get to know Australia’s major city. After breakfast, transfer to the airport for a flight to Ayers Rock. Uluru as it is now known, is located in Uluru-Kata Tjuta National Park, a World Heritage listed site. 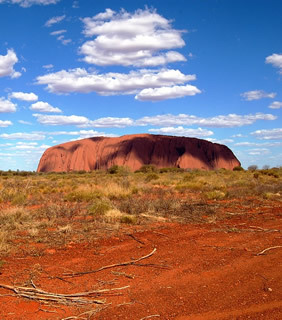 Australia’s sacred monolith has a circumference of about five miles and rises 1,143 ft. Archaeological evidence suggests that Aboriginal people have lived at Uluru for at least 22,000 years. In the heart of Australia’s Red Centre, Sails in the Desert hotel beautifully contrasts Uluru’s raw natural beauty with a decidedly luxurious outback holiday experience. Sails in the Desert, named after the soaring white sails that crown its roof is perfectly positioned to make the most of out the Australian outback. In a destination where one of the world’s oldest cultures still thrives, the mystery, color and wisdom of the local Arborginal people is interwoven into every facet of Sails in the Desert’s modern design. Relax in spacious, beautifully appointed rooms, enjoy cocktails by the pool, or stroll through the hotel’s acclaimed Mulgara Gallery. This evening travel to a secluded sand dune just before sunset where you are welcomed with stunning 360 degree views of Uluru and Kata Tjuta while enjoying pre-dinner champagne and canapés as the sun sets, followed by a gourmet dinner under the starry night. An early start this morning as we join our private guide and travel towards Uluru, its vast shape rises from the sand dunes in the early dawn light highlighting its presence in this country. Our guide will take us to a special location to watch the sun rise over this amazing monolith. Learn the Creation stories of Liru (poisonous snake) and Kuniya (python) and hear about the Mala people. After breakfast visit Mutijulu Waterhole and drive around the base of the Uluru before returning to the resort. This afternoon return to Uluru-Kata Tjuta National Park to a place where unique flora and fauna thrive, Kata Tjuta (The Olgas). Here our guide will reveal the many attributes of this diverse environment and describe the cultural significance of Kata Tjuta as a sacred Aboriginal men’s ceremonial site. Arriving at Walpa Gorge walk between the mighty conglomerate domes and hear how these 36 domes that make up Kata Tjuta have evolved over millions of years. The spirituality of this amazing location embraces everyone who ventures here. Enjoy the morning at leisure today before being transferred to the airport to board a flight to Melbourne. Known as a style-setter, Melbourne is home to a non-stop program of festivals, renowned dining, major art exhibitions and musical extravaganzas. We will be met on arrival and given a brief city tour before being transferred to our accommodation, Langham Melbourne with sweeping vistas of the Yarra River and the Melbourne skyline located amidst the city’s captivating arts and leisure district, on the famous Southbank Promenade. Join our private guide on a morning walk through Melbourne’s beautiful and iconic lanes and arcades, to immerse yourself in the heritage and culture of this cosmopolitan city, visit local artisans and up and coming fashion designers. With a vibrant public art scene and historical buildings that act as a backdrop, we will discover the sophistication and charm that makes Melbourne such a diverse city. Learn a little history, and see some of Melbourne’s amazing architecture before stopping for lunch at a local favorite. This afternoon at your leisure to explore this incredible city. This evening convene for a group farewell dinner. You will be met and transferred to Melbourne International airport this morning to board a flight Home or continue with us to Auckland, New Zealand. • Transfers as per the itinerary. Arrival in Sydney & departure in Melbourne is Group Transfer only. A designated flight will serve as the Included Group Transfer. Flights not arriving at this time may require Private Transfers at additional cost. Passport (valid for at least 6 months beyond duration of stay), Electronic Travel Authority (ETA) or non-electronic label visa, proof of onward or return ticket, and sufficient funds are required. An ETA or non-electronic label visa is required for tourist or business stays of up to 3 months and must be obtained prior to departure. 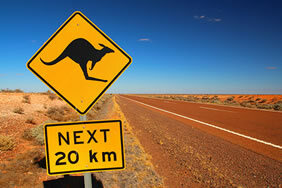 For most visitors to Australia, an ETA may be obtained online. There is a processing fee (currently AU$20 per visa) to be paid on the site. If you are a citizen from a non-participating country, you will need to contact the relevant Embassy to enquire about Visa requirements. Due to security reasons coach drivers can no longer leave their vehicle unattended. Therefore, instead of meeting your driver in the arrivals hall, you will need to make your way outside of the terminal to the coach and driver who will be waiting in the middle lane. If for any reason you are unable to locate your driver, please call 132251. Please look for your driver who will be holding a sign with your group name on it. You will be transferred to your city accommodation by private vehicle. None required or recommended. It is recommended you have your regular vaccinations up-to-date before traveling. For further information, visit the Center For Disease Control website. 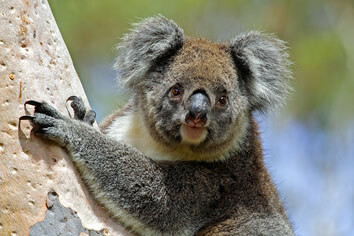 American Airlines, Qantas, New Zealand Air, United Airlines are airlines that can be used for this trip. We recommend booking at least 7 months in advance if you want to try to use Frequent Flyer Miles for free tickets or upgrades or the American Express Platinum card 2-4-1 program. This property is 1 minute walk from the beach. Boasting an infinity pool and a private beach area, this resort offers adult only, beachfront accommodations with free WiFi and free airport/hotel transfers. Each room has a private balcony with stunning Coral Sea views. Surrounded by tropical gardens, Beach Club offers a free chauffeur service to take guests around Hamilton Island. Guests can make use of the free water sports equipment, including windsurfing and snorkeling. The stylish, adult only rooms have flat-screen cable TV, an iPod dock and a DVD player. The private bathroom has a bathrobe, hairdryer and guest toiletries. Chinese TV channels are available. Overlooking the palm-fringed pool, Beach Club Restaurant offers à la carte dining and creative cocktails. There are also a number of restaurants within a 5-minute walk. Wake up to breathtaking views of the iconic Sydney Opera House, the Harbor Bridge or Darling Harbor each morning. You will be spoiled for choice at the Shangri-La Hotel, with a day spa, fitness center and indoor pool at your disposal. The award-winning Altitude Restaurant features magnificent views of the harbor. Cafe Mix offers international all-day dining, while the New York-inspired Blu Bar on 36 is the perfect spot for a creative cocktail. Perfectly positioned to make the most of the Australian outback, Sails in the Desert is just a 5-minute walk from the Uluru (Ayers Rock) lookout and is a great spot to take in the desert sunrise or sunset. The property features an outdoor swimming pool, a tennis court and a relaxing day spa. The decor at Sails in the Desert is inspired by Aboriginal culture, and the hotel features original Aboriginal artworks throughout the public areas and in the guest rooms. The onsite Mulgara Gallery also showcases an impressive range of Indigenous art. The air-conditioned rooms have a mini-bar and tea and coffee making facilities. Each room has a private bathroom with bathrobes, a hairdryer and free toiletries. Some rooms also have a private balcony. The property also features a bar and a range of dining options. The staff can assist you to organize a range of outback experiences including camel rides, scenic flights and dinner under the stars. Located on the banks of the Yarra River, The Langham Melbourne features an indoor swimming pool with views across the city. The elegant interior includes a grand marble staircase, cascading fountains and magnificent chandeliers. All rooms at The Langham include cable TV and a mini-bar. Wi-Fi internet access is available. Guests can relax at the Chuan Spa, which offers a range of massages and beauty treatments. The fully equipped fitness center includes a sauna and steam room. Melba Restaurant offers panoramic views in a stylish relaxed setting. ARIA Bar serves tea, coffee, light meals and cocktails.